Optical Coatings: Characterize both thickness and refractive index for single- and multi-layer coatings; anti-reflection, high-reflection, or decorative coatings. 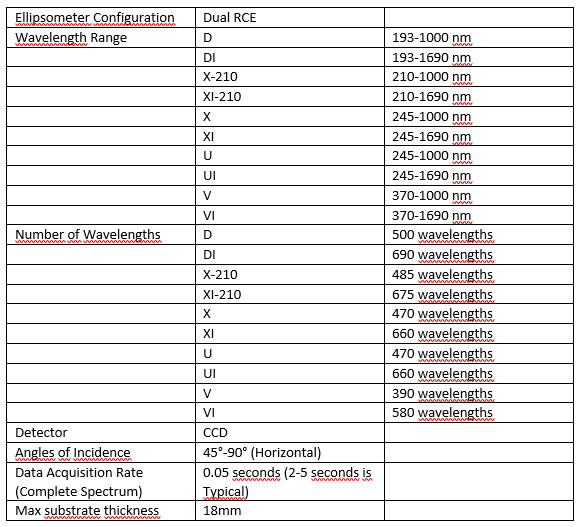 Calculate the color coordinates for your coating stack under different lighting conditions. Chemistry/Biology: The M-2000 can be used for a variety of chemical and biological applications, either as a stand-alone tool or in combination with one of our many accessories. Study materials under liquid ambient, at high or low temperatures, or in conjunction with QCM-D measurements. Conductive Organics: Great progress has occurred in the area of organic layers and stacks used for display (OLED) or photovoltaic applications. There are many different materials being studied, from small molecules such as Alq3 to conjugated polymers such as P3HT. 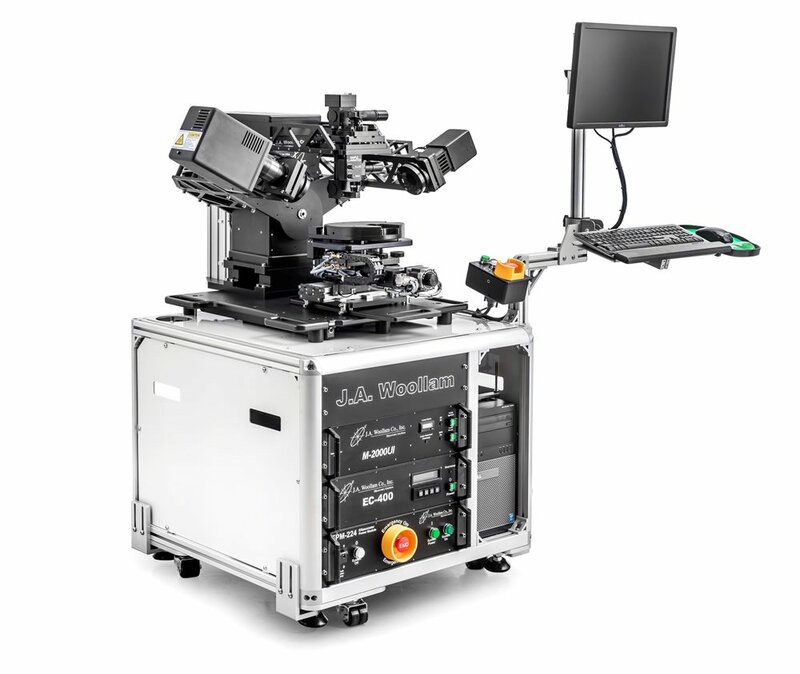 Often multiple materials are blended together – which requires the wide spectral range of the M-2000 – to probe different wavelengths where the organics are optically different. Long-chain molecules may also have significant anisotropy, where orientational stacking of the polymer chains produces different optical constants in different directions. Semiconductors: Traditional ellipsometry applications are still going strong. Characterize any semiconductor material: resists, photomasks, SiON, ONO stacks, low-k dielectrics, high-k gates, SOI, SiGe, II-VI and III-V ternary and quaternary compounds. Photovoltaics: Film thickness and optical properties are critical to performance of solar devices. Ellipsometry is used for development and monitoring of all PV materials: a-Si, μc-Si, poly-Si, AR Coatings (SiNx, AlNx…), TCO Films (ITO, ZnOx, doped SnO2, AZO), CdS, CdTe, CIGS, organic PV materials, and dye sensitized films.